This collaborative artist book is devoted to Cascade Head, a headland on the north-central coast of Oregon. Cascade Head stretches like a long stone finger from the coast range into the ocean. Like other promontories to the north and south, Cascade Head is a record of an ancestral valley of the Columbia River. Several million years ago, a series of basalt flows coursed their way down the Columbia River, filling the river valley with molten rock and pushing the river progressively northward until it reached its present position. With subsequent lifting of the continental shelf, the softer sediments washed away, leaving the now hardened basalt castings of the Columbia River valley looming over the Pacific Ocean. In many ways, Cascade Head is a place of extreme transitions and the margins of these changes. It stands at the edge of a continent; the estuary on its southern side fills and empties with the ebb and flow of nine-foot tides; the same wind that blows waves across the surface of the ocean ripples the grasslands; and one can watch with the naked eye clouds and fog form on its leeward and windward sides. The Head is home to rich and varied ecosystems that support an immense diversity of life. Within a single day's walking, one can experience from the top the sheer rock cliffs, grasslands, and rainforests, and at the bottom, wetlands, estuarine environments, and intertidal zones. The book is composed of a series of prints and poems, each of which present a particular view of that place. The presentation of the prints and poems loosely follows a presentation style that has a long history in Chinese painting. Historically, these paintings were generally handscrolls and album leaves that presented multiple views, both visual and literary, of an area or object. Usually intimate in size, these works were a means for contemplating and celebrating that place or object. A prime example of this genre is the Wangchuan Villa Handscroll by Wang Wei (701-761) in which the artist painted his favorite spots on his estate along the Wang River and then inscribed twenty poems that he interspersed among these views. Inherent in Twenty Views of Cascade Head is a viewing experience mediated by four guides. 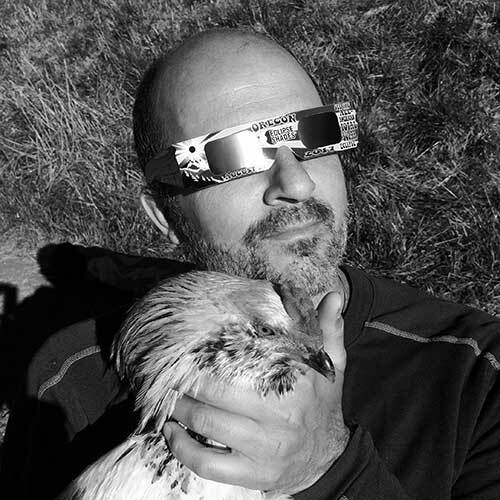 Ian Boyden and Frank Boyden are natives of Cascade Head; Jennifer Boyden and Charles Chu spent time there during writer- and artist-in-residency programs. 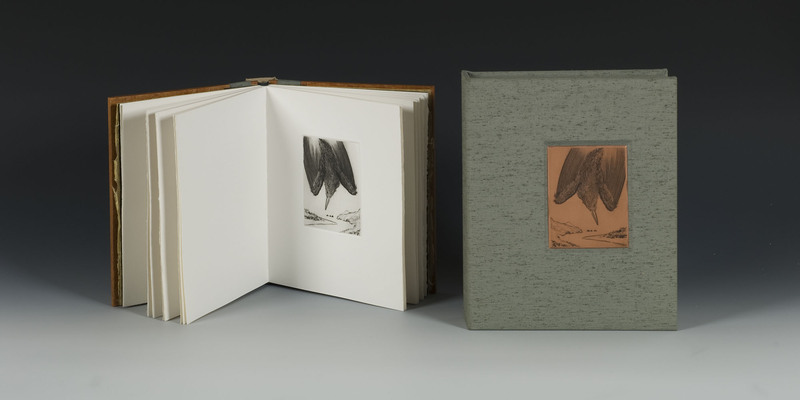 The poems are set in Perpetua and printed on Hahnemühle Copperplate; the prints are drypoints and/or aquatints and were printed by Frank Boyden; the binding is a variation of Gary Frost's sewn boards; the covers are made of lacewood (Cardwellia sublimis). Each book comes in a Solander box adorned with an original copperplate from the book. This book was produced for the dedication of the Charles Chu Asian Art Reading Room in the Charles E. Shain Library, Connecticut College, New London, Connecticut. Dimensions: 8.75 x 7 x 1 inches. 56 pages.